No-one remembers now who the Triple Crown was first made for. Some tyrant of the ancient world, perhaps: some forgotten king whose ruined cities have long since crumbled into mere grassy mounds beneath the steppe. Perhaps he hoped that the glory of the crown would ensure that his reign would never pass from the memory of men; but now, when people tell its story, the king who wore it is always the least significant part of the tale. There was a king. He died. He's not important any more. But his crown... ah, his crown was a wonder! Three crowns in one, a triumph of the goldsmith's and the lapidary's art, mingled with astral magic of a kind now vanished from the earth: circlets of solar gold, lunar silver, and glittering star-like gemstones, combined into a single diadem whose glory and radiance outshone all earthly things. When the king wore the Triple Crown, sunlight and moonlight blazed around his head, and his eyes were filled with stars, and even the mightiest of men and the fiercest of beasts did not dare to approach him. In the height of his pride, the king boasted that even death would be awed by its radiance; but in this he proved quite mistaken. He aged and died like other men, and after his death his children fell to squabbling over which of them would inherit it: and while they bickered and schemed against each other, three cunning thieves stole the Triple Crown from their treasury and vanished quite away. The glory of the Triple Crown could not be hidden. It shone through every covering; and the thieves knew that they could not keep it long. They broke it into its three separate rings, and they each fled in different directions, making a solemn pact that if they escaped detection they would meet together at a secret place after a year and a day. But while the magic of each of the three rings, when combined, had served to counter the most baleful effects of the others, when broken apart their celestial influences burned without restraint. As the thieves fled, the crowns burned through their souls as the parchment is swallowed by the flame. As the sun burns brightest of all the heavenly bodies, so the Sun Thief was the first to be consumed. 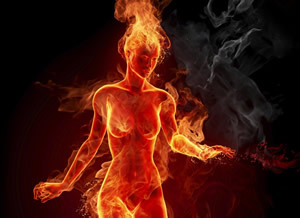 Her soul combusted within her; her fingers became ten candles, her hair a bonfire, her tongue a lash of flame. Sunlight poured from her eyes, and those who met her gaze were stricken blind. She fled into the southern deserts, a roaring terror, a living fire which could not die or sleep; and the land around her hiding-place was blasted beyond the endurance of all living things. The second to be consumed was the Moon Thief: his soul collapsed into eclipse, his body warping with the changes of the moon. His flesh flowed like wax or water; he became a living shadow, a thing of silver glints in darkness, roaming the desolate northern coastlines with the ebb and flow of the tides. The last to be consumed was the Star Thief: his soul fragmented million-fold into hard blue starlight, and a thousand shining eyes opened across his body, eyes which saw now the present, and now the past, and now the things to come. Driven quite insane by his visions, he hid himself beneath the earth, muttering cryptic oracles into the dark. The stars are nothing if not regular in their progress, and when a year and a day had elapsed the Star Thief travelled by secret ways to the pre-arranged meeting place. But the Sun Thief and the Moon Thief did not come; not that year, nor the next year, nor any of the years that have followed. And so the crowns remain separated; and so the Three Thieves remain lost. The Triple Crown is an ATWC version of the 'set item you need to find all the bits of before you can use it properly', a la the Rod of Seven Parts. More to the point, they're an example of the kind of stuff I like to scatter around sandboxes and hexcrawls: encounters which, in isolation, just look like bits of random colour, but which have the potential to be more than the sum of their parts. 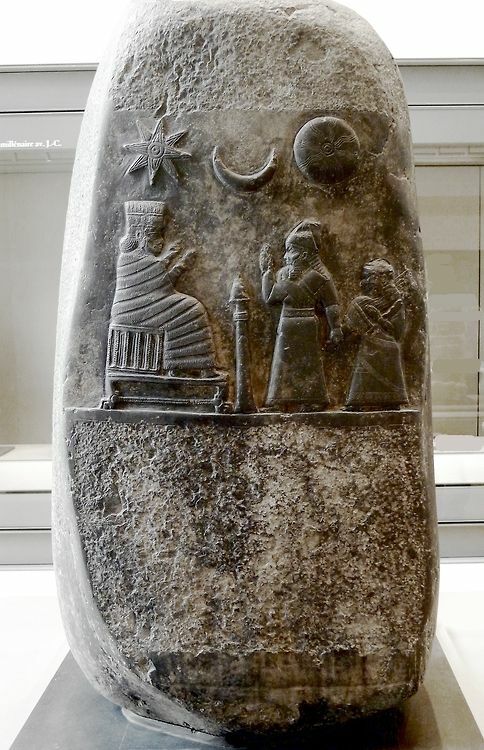 Individually, the Three Thieves just provide fodder for weird encounters out in the wilderness; but if PCs go to the trouble of researching what they are, and tracking them all down, and finding ways to circumvent their various abilities, then they can potentially get their hands on a powerful relic of the ancient world, which might come in extremely handy when trying to overthrow the tyranny of the Wicked King. Concealing the fact you own the Triple Crown is pretty much impossible, however, as the Three Thieves found to their cost: so once you've got it, you'd better be ready to defend your claim on it against all comers! The Sun Thief is easy to find, if one desires to do so: she roams the southern deserts, a pillar of living flame, blasting the sand around her to glass in the white-hot heat of her combusted soul. Her approach can be felt from miles away as a wave of heat in the air, and the desert tribes have long since learned to flee from her whenever she comes near. The lands in which she most often wanders have been burned to bare black rock and obsidian, so hot that no living thing can survive within them. To look upon her is instant blindness. To touch her is death by fire. Unless one can somehow attain complete immunity to heat, fire, and blindness, fighting the Sun Thief is clearly out of the question. But even in her current state, there might be ways to communicate with her: the Children of the Sun could act as messengers, as could the spirits of the desert; and if one knew which way she was likely to come then one could spell out messages for her on the land itself, in arrangements of imperishable stone. But her mind is on fire. What message could be powerful enough to reach her after all those centuries of flame? Unlike the Sun Thief, the Moon Thief is not dangerous to approach: the difficulty in his case lies in finding him in the first place. He can take any shape he chooses, or no shape at all: and how does one track down a single shadow on a thousand-mile shoreline, or a single glint of moonlight on the surface of a vast and moonlit sea? The most obvious way to find the Moon Thief is to consult an oracle, such as the Golden Lady or the spirits of the Island of Cairns; but there is another way. Some echo of the man he once was draws the Moon Thief to scenes of larceny and deceit. The tightly-knit, clannish communities of the northern taiga do not lend themselves to criminality, but thieves and tricksters who do attempt to ply their trade in his remote northern region often speak of finding themselves suddenly attended by an uncanny figure when they had thought themselves alone, a man or a beast of strange silver aspect that melts away into shadows the moment it is approached or addressed. Through the orchestration of such scenes it might be possible to lure the Moon Thief to a specific location, but his weird, metamorphic body is nearly impossible to imprison or to harm. You could talk to him. But what message could reach his lunacy-addled mind? The one being who still remembers the Sun Thief and the Moon Thief as something other than the near-mindless monsters which they have become is the Star Thief. Moving as regularly as the stars in the heavens, he traces a vast, circular path across the world, moving sometimes across the surface and sometimes through the hidden underworlds beneath it, but always arriving punctually at their prearranged rendezvous site at intervals of exactly one year and one day. He doesn't walk very quickly, but he never stops: not for food, or sleep, or rest, or darkness, or any kind of weather or rough terrain. On the surface, in open country, a party on horseback could keep pace with him if they knew his route in advance, using each morning to cover the distance he travelled during the night; but in the underworld, even matching his pace for a single day would tax the most accomplished of cavers. He is utterly unremarkable to look at, a bent figure pacing wearily across the landscape, wrapped in layers of rags. A leper, perhaps, or a broken-down old beggar. Sometimes people give him alms, and receive weird, whispered oracles in return. Beneath his rags (which cover every inch of his skin, including his entire face, although his hood is so deep that this will not be immediately apparent), the body of the Star Thief is composed almost entirely of eyes. If he is harmed or detained, he will wrench the rags from his face and expose a dozen or so of these eyes, all of them full of hard blue starlight; those they gaze upon will be filled with the terrible, inhuman knowledge of the stars, which usually results in several days of catatonia followed by several years of astrophobia. If he is injured, this terrible starlight will pour out of his wounds, engulfing everyone nearby during the minutes that it takes for his flesh to knit back together. Possibly a sufficient quantity of force could kill him outright, but no-one who's ever been exposed to the starlight within him has ever wanted to find out what would happen if all of it were to burst forth at once. If approached non-violently, the Star Thief will not behave aggressively unless his journeys are actively impeded. Talking to him is difficult, because his shattered mind is a jumble of star-knowledge, filled with the events of the past, present and future which all learned men agree to be secretly written in the stars; but with a great deal of patience, and the right kind of crossword-puzzle mindset, all kinds of information could potentially be coaxed from him. If you followed him for long enough, through the deserts and the mountains and the monster-haunted underworlds, you might even learn his real name. You might even learn the real names of the Sun Thief and the Moon Thief. You might even learn which spot on the Star Thief's 366-day itinerary is the spot at which they were originally supposed to be reunited. You might even be able to arrange events so that, the next time the Star Thief reached that point, he finally found the Sun Thief and the Moon Thief waiting for him, holding their circlets in their hands, ready to combine the three crowns into one and shed their burdens at last, crumbling into ancient ash and letting the winds of the steppe carry their mingled dust up into the sun, and the moon, and the stars. In many D&D games, neither long distances nor long durations come up very much at all. A lot of D&D scenarios follow the model from Keep on the Borderlands, where the Keep and the Caves of Chaos are only a couple of miles apart; Undermountain in the Forgotten Realms later went even further by having the dungeon directly under the starting tavern, meaning that the journey time between Home Base and Mythic Underworld wasn't hours or days, but minutes. But what if it's further? What if it's much further? What if the journey to 'the dungeon' is more like a band of sixteenth-century Spanish adventurers setting out for El Dorado than a gang of graverobbers deciding to break into a mausoleum in the churchyard down the road? Or consider something like the Lewis and Clark expedition of 1804-6, which spent eighteen months travelling from St Louis to the Pacific, five months on the Pacific coast waiting out the winter, and six months on the return journey - a round trip of almost two and a half years, even though they had much better equipment and navigational techniques than would have been available in the Middle Ages. What if the journey to the dungeon and back looks like that? Many readers of this blog will probably be familiar with the old Pendragon RPG, in which the PCs are knights in Arthurian Britain. One of Pendragon's many innovations was the idea that the PCs aren't off adventuring 24/7: instead, adventuring is seasonal, something you do in the summer when the weather is warm and riding around in the woods all day isn't too much of a pain in the arse. A Pendragon party will ride off to slay a dragon or rescue a maiden or whatever, and then they'll come home, and that'll be their adventure for the year done: it's followed by a 'Winter Phase', where you get to roll a bunch of dice to find out whether you catch the plague and whether your wife dies in childbirth and how many children you have left by springtime, and then summer comes around and you round up your mates and go for another adventure. One adventure + one winter phase = one year, and over the course of a long campaign PCs are thus expected to age from brash young warriors in their late teens to grizzled veterans in their 30s or 40s. Play long enough and you might even end up playing as the children or grandchildren of your original characters. Now, Pendragon uses this model because its PCs are plugged into a specific social structure, rather than just being the rootless freebooters so common in D&D. They can't adventure all day, every day: they have manors to run, peasants to oppress, lords to serve, lands to guard, and so on. But I think a variant on it could easily be used to model 'long-distance D&D': if there are a thousand miles of wilderness between you and the dungeon, then one expedition per year is probably the most you're going to be able to manage. You set out in spring; you reach your destination and have your adventure in summer; you trek back through the autumn; and winter is spent sheltering from bad weather and gathering plans and supplies for next year's expedition. This 'annual adventure' model wouldn't be suitable for all campaigns, and would fit much more easily into a setting where the geography is on a North American or Central Asian scale rather than yet another Merrie Olde Englande knock-off, but I think that it has certain attractions. It gives a more plausible explanation for how the PCs have had time to recover from all their horrible injuries. It makes their increasing power level more believable. (I've never been a fan of the way D&D characters often go from raw beginners to mighty wizards and warriors within just a few months of game time.) It emphasises just how much wealth they've acquired: not just enough to pay their tavern bills for a few weeks, but enough to live off for months at a time and still pay for the supplies of the next expedition. It gives them a reason to build connections with (and invest resources in) their communities, because for much of the year those communities will be their actual homes, rather than just places they drop into briefly to heal and restock before heading back out to the adventure site. And if your group happens to be interested in dealing with Pendragon-esque issues relating to ageing and family and whatnot, then it opens up a space for them, too. PCs who go adventuring once a year can watch their children grow up. PCs who go adventuring once a day are unlikely to live long enough to have any children in the first place. In practise, this would mean dividing the role traditionally played by 'town' into two. The place that the PCs retreat to at the end of a day's dungeoneering is just 'base camp', which is probably still just a few miles from the dungeon; but the place where they go to resupply, sell loot, hire new followers, and so on is their distant 'home port', so far away that going there and back means adding one year (or more!) to your PC's age on their character sheet. 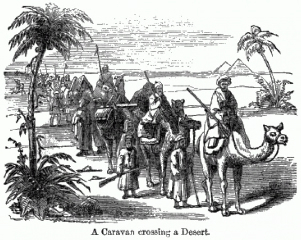 PCs would be aware that their adventuring career was likely to span years or decades rather than weeks or months, simply because of the amount of long-distance travel involved, and would thus have an incentive to engage in the kind of long-term activities which tend to seem pointless in many D&D games: getting married, having or adopting children, investing in businesses or property, training apprentices, founding new religions, starting political movements, and so on. The equivalent of the Winter Phase would be discovering after each adventure how all your long-term projects had developed in your absence, and establishing the direction you wanted then to take next. This would also neatly avoid having the game eaten by the minutiae of running a magical academy / political party / insane conspiracy / whatever: when your PC spends three-quarters of every year on the road, she has to delegate its day-to-day running to her NPC minions, instead. If it was not for this post I would never have discovered that 'camelphotos.com' is a real website. Check it out for all your camel photo needs. By the same token, this structure would mean that the GM was free to make use of long-term situations: not just the 'immediate massive crisis' that is D&D's normal bread and butter, but slowly-simmering issues that might take years and years of game time to finally boil over. That lunatic preaching in the town square might just look like a bit of local colour the first time you see him, but eight years later he and his cult might have taken over half the city. (And, again, all these long absences provide the time needed for major changes to take place. 'When you finally set eyes upon your home city after eighteen months on the road, you can tell at once that it has changed dramatically since your departure...') You could explore plotlines that D&D campaigns usually don't have time for, like the rise and fall of entire governments or religions; you could even take the Pendragon model and start the campaign at the beginning of a new king's reign, allowing the actions of the PCs and the consequences of their adventures to shape whether his era turns out to be one of prosperity or disaster. 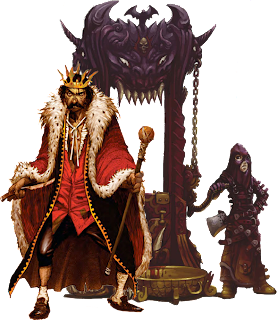 Most D&D PCs are too anarchic to act as some monarch's Lancelot - but they're pretty well-suited to be their Drake or Magellan, with all the positive and negative consequences that can stem from that. I have a completely irrational love of weird underground human (or semi-human) civilisations. I'm not quite sure why. I think it's probably because of the vistas of deep time that they imply: of hidden cultures unfolding themselves into the darkness, generation on generation, gradually becoming stranger and stranger as they pass century after century completely isolated from the surface world. Dunkley Halton wrote some absolutely brilliant ones here. Now, in the real world you'd have to be crazy to take your children and go and live at the bottom of a lightless cave system somewhere, because there's not enough food down there and you'd all end up starving to death. But the weird underground ecosystems and endless, almost entirely non-flooded cavern networks of D&D change everything: and while very few people would voluntarily choose to live in the underworld rather than on the surface in most D&D settings, once they're down there they can survive indefinitely if they have to, which effectively turns the Underdark into everyone's last resort place to retreat to in moments of acute crisis. In reality, when everything falls apart people usually flee into the forests and the hills; but because there's only so much rough terrain available, they necessarily end up mingling with the descendants of all the other peoples who've fled up there in the past. But the D&D underworld is effectively limitless, and there's no reason why it couldn't absorb any number of waves of refugees, fallen dynasties, persecuted cults, displaced cultures, and so on, each new wave simply driving the others a little deeper down while still retaining its own distinct identity. In D&D-land, no culture ever really needs to become extinct. It just needs to find itself a deep enough cave to hide in. Here are twenty weird (but human) underground cultures you might find in a D&D underworld, complete with (somewhat flimsy) explanations for why they're living underground in the first place. Makes a change from yet another bunch of deep gnomes, right? 1: Descendants of two ancient armies locked in stalemated trench warfare; both sides dug endless tunnels and counter-tunnels to undermine one another until they hit the underworld, and then they just kept going, the war by this time being all they knew. Now their mostly-collapsed trench networks reach miles underground, their semi-human descendants still blindly carrying on with their war in the depths of the earth, in the name of nations long since vanished from the surface world. Their culture is built around antiquated military ranks, and they have an instinctual and hysterical loathing of 'the enemy'. 3: Long ago, for reasons that must have seemed compelling at the times, an expedition was mounted into the depths of the underworld. Soldiers, sages, and explorers descended together far below the earth, where they slew many monsters and unearthed many treasures and discovered many secrets of the world below. But they went too deep: their numbers became depleted, their most powerful heroes perished, and cave-ins and hostile populations lay between them and the way home. Exhausted, they established a temporary base camp far below the earth, planning to restock their supplies and then return to the surface; but as years passed without a suitable opportunity arising, the hope of ever reaching their lost home receded ever-further into the distance. Some made a desperate scramble towards the surface, and perished en route; but others remained, and their old base camp has now grown into a small community, at the heart of which lie the honoured graves of the explorers who led their ancestors down there so many years ago. Their numbers have never been great, but they still possess many objects of power which were either carried down there by the original heroes or found by them in the course of their expedition, and with the aid of these they have been able to consistently hold their own against the creatures of the surrounding caves. 4: In the waning days of some ancient empire, a garrison of soldiers was stationed in the underworld to guard a strategically-important cave network against foes in the Underdark below. They successfully held the line against their enemies: but their parent civilisation was less fortunate, and as the empire fell their supply lines were cut and they lost all contact with the surface world. With no way of knowing what was going on and no route back to the surface, they dug in, fortified their position, and waited for further orders. Hundreds of years later their descendants are still there, furiously protecting their now fantastically-fortified cave network against all comers, and awaiting the now-mythical figure of 'the messenger' who will tell them that their watch is over and lead them back into the light. 5: Many years ago, a persecuted religious sect sought shelter in the underworld, hiding themselves from the surface world. Down in the caves they have built themselves a sealed community built around strict religious principles, governed by their religious elders, and completely cut off from any 'corrupting' external influences. Their obsession with doctrinal purity weighs heavily upon the less devout members of their community, especially among the young; but living far beneath the surface means that would-be apostates effectively have nowhere to go, especially as they teach their children that the surface world is a nightmarish place full of bloodthirsty inquisitors who would burn them alive as soon as look at them. In fact, their sect has been virtually forgotten in the world above, its followers assumed to have all converted or perished in the great persecutions generations ago. 6: A century or so back, the ruling dynasty of a local kingdom was driven from the throne by a rival claimant. When the new king began hunting down surviving members of the defeated dynasty to make his claim secure, faithful servants fled with as many members of the family as they could find and hid themselves in the underworld, guarded by the most dedicated warriors from what remained of the royal army. Generations on, the descendants of this fallen dynasty still maintain a weird shadow court deep beneath the earth, insisting that they are the rightful rulers of the lands above. They still have their partisans in the kingdom, who swear their loyalty not to the king in the capital but 'the king beneath the earth'; and while its exact position is a closely-guarded secret, their cavern-court still somehow acts as a magnet to all kinds of exiles, rebels and malcontents who are no longer welcome in the kingdom itself. 7: A terrible earthquake once tore open the earth, tipping an entire city into the abyss. By sheer fluke, a handful of its inhabitants survived the fall, only to find themselves stranded deep underground. Over the centuries that followed they and their descendants have gradually cleared and repopulated their shattered and jumbled city, making their homes in crashed palaces, inverted temples, and buildings that now stand at crazy diagonals. The language they speak has long since vanished from the surface world, and would be of great interest to scholars. 8: A criminal gang began using a nearby cave system as a hiding place and base of operations, concealing its entrance to protect them from the agents of the law. As their crimes became more brazen, and the hunt for their lair more intense, they began retreating deeper into the earth, surrendering the upper levels of their hiding place in order to conceal themselves ever further down. Now, centuries on, their descendants live far beneath the surface, and come creeping up through a dozen layers of concealed passages to conduct near-ritualised 'crime raids' on nearby communities on nights when the moon is dark. 9: An ancient culture buried its kings and officials in a vast underground necropolis, with new tomb-complexes excavated to make room for each new arrival. They also believed that men and women of rank should have slaves buried alive with them, to serve them in the next life: a minor court official might just be buried with one, but a king might have a thousand or more. In the early days of the empire such live burial meant a miserable death from starvation in a sealed tomb: but by the time the empire reached its second millennium, the necropolis had become so vast that the slaves buried alive within it could (and often did) survive inside it for decades, living on weird crops grown from grain offerings interred with the high-ranking dead. Thus a bizarre community arose within the necropolis, its numbers bolstered by regular arrivals of new slaves: they called themselves 'the dead', and hid themselves from the living during their infrequent visits to the tombs, the marks of their presence being attributed instead to restless ghosts. Today the empire is waning fast: the tombs of its modern kings are paltry compared to those of their ancestors, and slaves are now too scarce to be wasted on live burial. But the 'dead' remain in their necropolis, living among the ruins of the tombs: they have long since converted the masoleums of the ancient kings into homes and workshops, improvising tools out of the grave goods buried with long-dead officials and courtiers. Their knowledge of the necropolis, and thus of the empire's history, is far greater than that of any living sages in the world outside. 10: Centuries ago, invading armies drove the indigenous peoples of this region to the brink of extinction. To survive, they fled beneath the earth, modifying their traditional customs as best they could to fit in with their new environment. Today their descendants have thoroughly adapted to their new subterranean homeland, but they have not forgotten the loss of their original lands; they sometimes send scouts creeping up by night to keep track of developments on the surface, and as their numbers gradually grow, so does their confidence that their old territories might one day be retaken. Should the surface nations they once inhabited ever find themselves at a moment of acute crisis, then the secret armies beneath the earth may seize the opportunity to strike. 12: A long-vanished culture with a taboo against capital punishment once punished its criminals by exiling them into the underworld, forcing them to march down a long tunnel that reached deep into the earth and then locking an immense iron door behind them. Their descendants still remain there, sealed beneath the earth, in loose tribal groupings based around the ancient crime syndicates, radical movements, and banned religions from which so many of their ancestors came. The great iron door remains as immoveable as ever, as it was enchanted to fill anyone approaching it from below with feelings of overwhelming terror; but over the years these subterranean 'crime tribes' have successfully mined their way into other parts of the underworld nearby. 13: A saint of an ancient religion descended far into the underworld to live a life of ascetic contemplation, spending decades meditating in total darkness. After his death his followers established a shrine in the cave he had lived in, tended by an order of blind and silent monks and visited by occasional pilgrims who had been assigned particularly arduous penitential pilgrimages in punishment for their misdeeds. Gradually the keepers of this shrine developed a unique set of doctrinal irregularities, which they claimed to have been dictated to them by voices speaking out of the darkness; the high priests of their faith judged them to be ideologically impure, and the pilgrimages were discontinued. They were assumed to have died out centuries ago, but, in fact, their descendants and successors are still down there: tending to their ancient temple, perfecting their meditative techniques, guarding their crumbling libraries... and listening to the voices in the darkness. 14: A mining settlement pursued a particularly deep vein of ore so deep into the earth that it became impractical for them to return to the surface each night; instead they carved out homes for themselves underground, passing whole weeks or months in the dark. As the decades passed the mines became deeper and deeper, and their links to the surface more tenuous, until finally the day came when the miners simply decided to cut out the middlemen and start selling their ore directly to the other inhabitants of the underworld, rather that bother with the enormous difficulties involved in shipping it up to the now-distant surface world above. Today they form a major part of the local underworld economy. Their kinsmen on the surface still have no idea why the ore deliveries stopped coming all those years ago. 15: An awful clan of incestuous degenerates was driven from their homes by neighbouring tribes, and forced to flee beneath the earth to survive. Down in the dark they became more freakish and inbred than ever, and several generation on they've devolved into a grotesque and twisted race, deformed and animalistic and insane. They sometimes creep out of their caves in search of food, preying indiscriminately upon humans and animals alike. The local population regard them as monstrous beasts: they set snares for them as they would for wolves or foxes, and would be shocked to learn that their ancestors were once ordinary humans. 16: Centuries ago, a work-gang of slaves labouring in a silver mine accidentally mined their way into part of the underworld. Reasoning that whatever was down there could hardly be any worse than their current existence, they secretly passed word of their discovery to their fellow miners; and at a prearranged signal, every work-gang in the mine murdered its overseers and fled down into the caves. Soldiers were sent to pursue them, and the escapees fled ever-downwards to evade them, retreating beneath the earth into weird subterranean labyrinths until they could no longer begin to guess the way back to the surface. Their descendants still live there today: they call themselves the Free People, and have used the mining skills taught to them by their slave ancestors to turn their caverns into an intricate and easily-defensible tunnel network, full of ore mines and fungus farms. They are tough and industrious and very good at keeping grudges, and in another few thousand years they may end up turning into dwarves. 17: A clan of hunter-gatherers once took shelter from the elements in a cave network, only to be trapped inside by a catastrophic cave-in. With nowhere else to go, they descended into the caverns, searching for another way out; but instead they simply wandered deeper and deeper into the underworld, until the way back to the surface was utterly lost. Turning their survival skills to their new environment, they became nomads of the underworld, roaming from cavern to cavern in search of fresh supplies of food: fungi to gather, cavefish to catch, and weird burrowing creatures to hunt and trap. Over the generations they became every bit at expert in surviving within their new environment as they once had been in the forests of the surface world; and while their legends still speak of a legendary world of lush green trees and abundant food, the young men and women of the clan increasingly view such tales as nothing more than a myth. 18: In some now-forgotten city of the ancient world, the castes were divided vertically: the aristocracy lived in a fantastical network of towers, never deigning to set foot upon the ground, while the commoners lived at surface level and the untouchables were banished to the tunnels and basements below, where they were expected to ensure that they were seen as little as possible by their social superiors. Years later, in an apocalyptic war with its rivals, the city was obliterated in a single night by a terrible magical bombardment: the only survivors were the untouchables, who cowered in their basements while the great towers crashed to the earth. Buried beneath a whole city's worth of magically-irradiated rubble, and fearful that their enemies would destroy them too if they gave any hint of having survived the fall of their city, the survivors decided that their only hope lay in digging downwards. 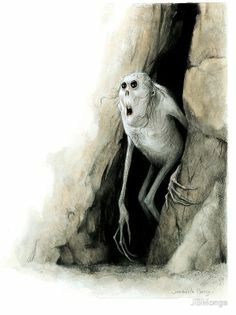 They are still there, in what is now a great and hidden tunnel-cavern-realm whose highest virtue is secrecy, teaching their children in each generation that they will only survive if the world outside doesn't know that they are there. They possess near-supernatural talents for stealth, the use of which has ensured that no-one has ever found them to tell them that the war they're hiding from ended thousands of years ago. 19: On the shores of an underground sea lives an incongruous community of human fisher-folk, the boats of whose ancestors were washed down into the underworld by a tidal wave generations ago. With no way back to the surface they have established themselves down in the depths as best they can, illuminating their homes with stinking fish-oil lanterns, and living upon the blind albino cavefish and other, weirder creatures which live in the waters of their new home. The bravest of them have even constructed a makeshift whaling vessel from which to harpoon the monsters which swim in the depths of their lightless ocean, although the risks involved are terrible. I've written condensed versions of Rise of the Runelords (Pathfinder adventure path 1) and Kingmaker (Pathfinder adventure path 3). I may as well go ahead and complete the trilogy. Background: A long, long time ago there was a monstrous beast called Kazavon (a dragon in the original, although anything big and powerful and evil would work just as well), who took on human form, conquered a kingdom for himself, and proceeded to rule it as a monstrous tyrant. He was finally brought down when a team of heroes infiltrated his stronghold, Scarwall Castle, and killed him with a holy weapon, the sword Serithial. So great was Karzoug's power, however, that his body continually struggled to return to life, defying all attempts at permanently destroying it. Finally, the heroes tore his corpse to pieces and hid the different fragments in the far corners of the earth. This adventure deals with the fate of one of those fragments: his teeth, which were welded together into The Crown of Fangs. The Crown was hidden in an ancient pyramid (actually the crumbling stronghold of a long-dead Runelord named Sorshen), and a local tribe, the Shoanti, were appointed to watch over it. Over the centuries, however, the memory of all this faded from the world; and when a bunch of colonists from a nearby kingdom discovered the pyramid a few centuries ago, they paid no heed to the babbling of superstitious natives about 'ancient evils that must never be disturbed'. The colonists massacred the Shoanti, and built a city around the pyramid, which they called Korvosa. The Crown of Fangs was thrown in a treasure chest along with the rest of the native loot and promptly forgotten about. Three centuries later, Korvosa has become a thriving merchantile city-state, and its kings have grown rich off trade. It was this wealth that attracted an ambitious and beautiful young noblewoman, Ileosa, to encourage the courtship of its elderly king, Eodred Arabasti, who had no legitimate heirs. 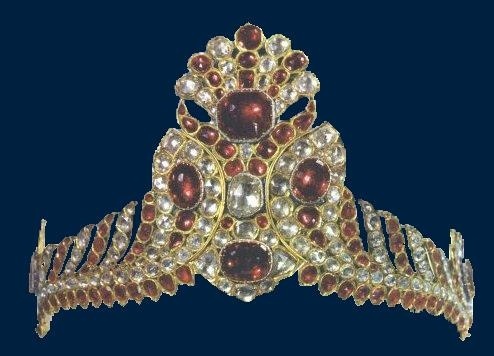 Once installed as queen of Korvosa, Ileosa began making regular trips to the royal treasuries, helping herself to her husband's wealth; and it was on one of these trips that she chanced across the Crown of Fangs, and placed it on her head. Infused with a fragment of Kazavon's power and evil, she became impatient with waiting for her husband to die; instead she consolidated her own powerbase, engineered his murder, and had herself proclaimed as his successor. With the aid of one of her allies, the death priestess Andaisin, she then developed and weaponised an artificial plague, Blood Veil; this plague has been raging fitfully in the poorer areas of Korvosa ever since her coronation, and any families or districts that demonstrate insufficient loyalty to her tend to be ravaged by the plague shortly afterwards. Under her rule, the city has become a pit of disease, rumour, and fear. The Hook: The easiest way into the storyline is via the plague. Maybe someone connected with the PCs catches it, or maybe they are contacted by someone rich and infected, pleading with them to help investigate its origins in the hope of discovering clues to a cure. Alternatively, Cressida Kroft (see below) may hire the PCs through some suitable intermediary, hoping to use them as safely deniable cats-paws with which to investigate her growing suspicions about the regime she is working for. Given how tightly interconnected all the parts of the plot are, investigating any one aspect of it should quickly lead to the rest! Korvosa: Under Ileosa's rule, Korvosa has become a very grim place. Order is maintained by her Gray Maidens, an elite all-female regiment whose recruitment process involves copious quantities of brainwashing and deliberate facial disfigurement, leaving them fanatically devoted to the Queen and extremely unwilling to remove their full-face helmets. The streets are also roamed by her sinister bird-masked Plague Doctors, who are actually disguised death cultists tasked with in spreading and directing the plague as well as curing it. (See The Hospice, below.) It is still a very wealthy city, but it is undergoing a rapid and obvious process of decline. The people are tired and dispirited, and lack the hope and energy for any kind of serious action against the queen's regime, especially as the people who speak out against her keep suddenly dying of the plague - usually along with their whole families. Field Marshal Cressida Kroft is the nominal leader of the city's military forces, although all duties relating to protecting the queen and her palace have been passed to the Gray Maidens, instead. Cressida has no personal loyalty to Ileosa, and strongly suspects that it is not a coincidence that the plague began shortly after her coronation, but she has no appetite for martyrdom and thus continues to follow orders, at least for now. Cressida has the loyalty of her men, and would happily lead them in revolt if she thought that victory was likely, but has no intention of throwing her life away on a doomed rebellion just in order to make a moral stand. If the PCs seem to be making an impact on the city, Cressida will attempt to hire them via deniable intermediaries to investigate what's really going on, and whether Ileosa's regime might have weaknesses that could be exploited by potential rebels. One person who Cressida badly wants to find (and will hire the PCs to find if necessary) is Neolandus Kelpopolis, the late king's seneschal, who disappeared just before Ileosa's coronation. She knows that he had some kind of unlikely (and possibly romantic) relationship with a half-mad painter named Salvator, but Salvator lives in Old Korvosa, which has been off-limits to her soldiers since the plague started. She'll suggest that PCs looking for Neolandus should start their investigations there. 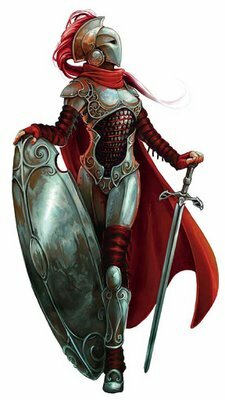 Sabina Merrin is the queen's bodyguard and captain of the Gray Maidens, of which she was the first. She and Ileosa used to be lovers, but Ileosa has increasingly lost interest in her since becoming queen, and Sabina is desperate to regain her affections. Because of her obsessive love for Ileosa, Sabina attempts to rationalise all of the queen's actions as being somehow necessary, even though the cruelty of the regime she serves increasingly revolts her. She is very, very miserable. The primary loyalty of the Gray Maidens is to their queen rather than their captain, and they would turn on Sabina at once if she were to defy Ileosa's will. Vencarlo Orisini is a humble fencing instructor by day, but by night he roams the city as the infamous rogue, vigilante, and folk hero Blackjack. As Blackjack he is adored by the people of Korvosa, who view him as a champion of the common man, but he's getting old and he knows he's no match for Ileosa's regime. PCs who oppose Ileosa will be contacted by Blackjack, who will feed them information and encourage them to keep up the fight; if they win his trust he will even bequeath them his famous swords and costume, allowing one of them to take on the Blackjack identity in order to lead the people of Korvosa in rebellion. Trinia Sabor is not actually present in Korvosa, but the face of this young woman looks down on the streets from hundreds of wanted posters. She's a painter who painted the late king's portrait just before he died; Ileosa framed her for her husband's death, but on the day scheduled for her execution she was literally snatched from the scaffold by Vencarlo Orisini, in a daring rescue that people are still talking about. Since then she's become public enemy number one, with all kinds of crimes attributed to her and an extravagant reward offered for her capture. (Sabina is especially keen to find her: she was in charge of security at Trinia's execution and views her escape as a personal failing.) Spirited out of the city by Vencarlo, Trinia is actually now living in the Cinderlands (see below), and has no intention of ever going back to Korvosa. The only person who knows how to find her now is Vencarlo, and he will reveal her location only to people he has reason to trust absolutely. The Longacre Building: This building serves as the barracks and indoctrination centre of the Grey Maidens. It also acts as a prison for recruits who have proven resistant to indoctrination. If these women could be freed (which would probably require either a full-scale military assault or the co-operation of Sabina Merrin), they would provide a group of extremely highly-motivated recruits for any rebellion against Ileosa, as well as helping to turn the people of the city against her by spreading word of what they have suffered at the hands of her minions. 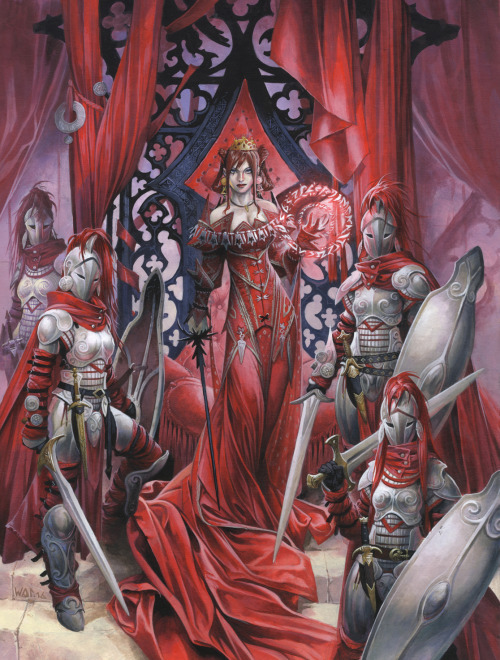 Ileosa's Palace: The palace is constantly guarded by Ileosa's Grey Maidens. Security is extremely tight. Ileosa herself is seldom at home (see The Sunken Queen, below), but none of the guards or staff know this: she has left a magical simulacrum of herself behind to go through the motions of ruling, and almost everyone believes that this simulacrum is their real queen. Only Sabina knows that this is in fact a magical duplicate, a fact that Ileosa grudgingly confessed to her after Sabina recognised it (and almost executed it) as an impostor. The palace is built on top of a much older pyramid, built thousands of years ago by Runelord Sorshen. Since taking power in Korvosa Ileosa has used the power of the Crown of Fangs to force open some of the magically-locked doorways in this pyramid in search of treasure, unleashing the demon Sermignatto in the process. Struck by Ileosa's resemblance to his ancient mistress Sorshen, and impressed by her amoral ambition, Sermignatto - who manifests as a horrible, bloated, three-headed worm - voluntarily entered into her service, and has been merrily encouraging her corruption ever since. He's the one who told her how to access the Sunken Queen, which is where she now spends most of her time. Sermignatto himself mostly remains in the palace dungeons, but sometimes he comes slithering out to telepathically whisper in the minds of the palace's other residents, with the result that some of them are now going crazy and most of them believe the palace to be haunted. The royal treasury is empty. In the royal vault, the tombs of the old kings of Korvosa have been broken open and looted. Ileosa is not very good with money. Ileosa's place in the palace is taken by a magical simulacrum, which looks like her and acts like her, but isn't really capable of taking the initiative or coming up with original ideas: with the simulacrum on the throne Ileosa's regime pretty much runs on autopilot, only to suddenly jolt into new activity whenever she returns to the city from the Sunken Queen. The simulacrum genuinely believes itself to be the real Ileosa, but if killed it explodes into a wave of sticky blood. Ileosa again. She really likes that dress. Carowyn Manor: This large manor house on the edge of town sealed itself off when the plague began. The Carowyn family invited their friends to join them for the duration, intending to block out all the misery unfolding outside their doors. Now rumours are spreading that something very strange seems to be happening inside the sealed estate. Unfortunately for them, their party was gatecrashed by Jolistina, the psychotic lover of the necromancer Rolth Lamm (see The Dead Warrens, below). 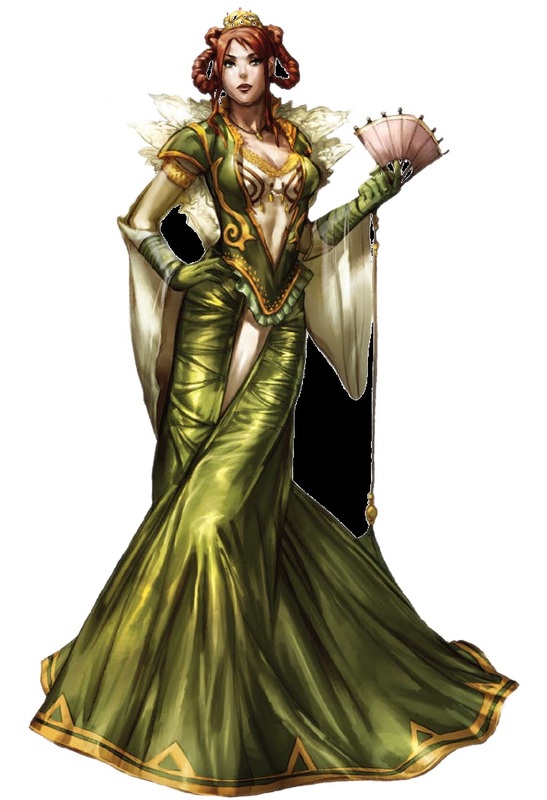 Jolistina proceeded to murder and then reanimate everyone in the manor over the course of one nightmarish dinner party, and now lords it over a court of zombies, drinking her way through the wine cellar, making the zombies dance for her amusement, and waiting for Rolth to get bored of his carrion golems and come to join her. The neighbours have started noticing that something very strange is going on inside the manor, but no-one's yet dared to risk the wrath of the family's famously trigger-happy guards. Jolistina's not very good at keeping secrets, especially when she's drunk (which is currently all the time), and PCs who break in and either befriend or capture her can learn where Rolth is hiding (the Dead Warrens), what he's working on (carrion golems to make use of the corpse of Gaekhen), and what he's been doing more recently (working on some kind of secret project at the Hospice of the Blessed Maiden). Old Korvosa: This district is on an island in the middle of the river which runs through Korvosa. It is a densely built-up maze of buildings separated by narrow streets, and has always been a centre of criminal activity. When the plague started, Old Korvosa was especially hard hit, so Ileosa ordered it to be quarantined: the bridges have been torn down, and Gray Maidens are stationed to seize anyone trying to enter or leave the island without permission. Since then, social order in Old Korvosa has broken down almost entirely. The closest thing to an authority figure that Old Korvosa has left is the self-proclaimed Emperor of Old Korvosa, Pilts Swastel. Pilts claims all kinds of made-up genealogies, but he's actually just a theatre director who uses his gift for rhetoric and his capacity for lunatic aggression in order to command the mob just as he once commanded his actors. Those who defy him are executed with a makeshift guillotine, operated by a one-eyed, tongueless gnome named Jabbyr. Pilts dresses in threadbare finery looted from his own costume cupboard (complete with a fake crown), and mostly deals with people by ranting and screaming at them. He has a morbid fondness for grand guignol spectacle. The island is also home to Salvator, a neurotic painter whose morbid subject-matter came to him in horrible dreams. Unbeknownst to him, these dreams were in fact emanations of the slumbering spirit within the Crown of Fangs, reaching out to psychically sensitive souls such as himself. When Ileosa donned the Crown and absorbed the spirit into herself, Salvator and several other similarly disturbed Korvosan artists found their 'muse' abruptly gone. Most of the others committed suicide or had nervous breakdowns: Salvator weathered the shock better than most, but has now been 'recruited' (i.e. abducted by Pilts Swastel to act as a scenepainter for his increasingly deranged spectaculars. Now he cowers in Pilts' ruinous palace, surrounded by his old canvases, painting as best he can. The paintings which he produced under the influence of the crown include many hints as to the true nature of the power active in Korvosa: motifs of crowns, fangs, pyramids, huge castles (i.e. Scarwall), a man peeling off his own flesh to reveal the monster beneath, and so on recur with obsessive frequency. Anyone with a decent knowledge of history will be able to make the connection to the legend of Kazavon. If the PCs make contact with Salvator, he'll tell them that Neolandus came to him just before Ileosa's coronation, babbling that she had murdered King Eodred, and would probably try to kill him as well now that he knew. Salvator handed Neolandus over to the most powerful people he knew: the Arkona family, who promised to hide him from the queen. Shortly afterwards the plague started and life in Old Korvosa fell apart. Currently hunting for Salvator (and living in his now-empty studio) is Laori Vaus, a member of a secret society called The Brotherhood of Bones. 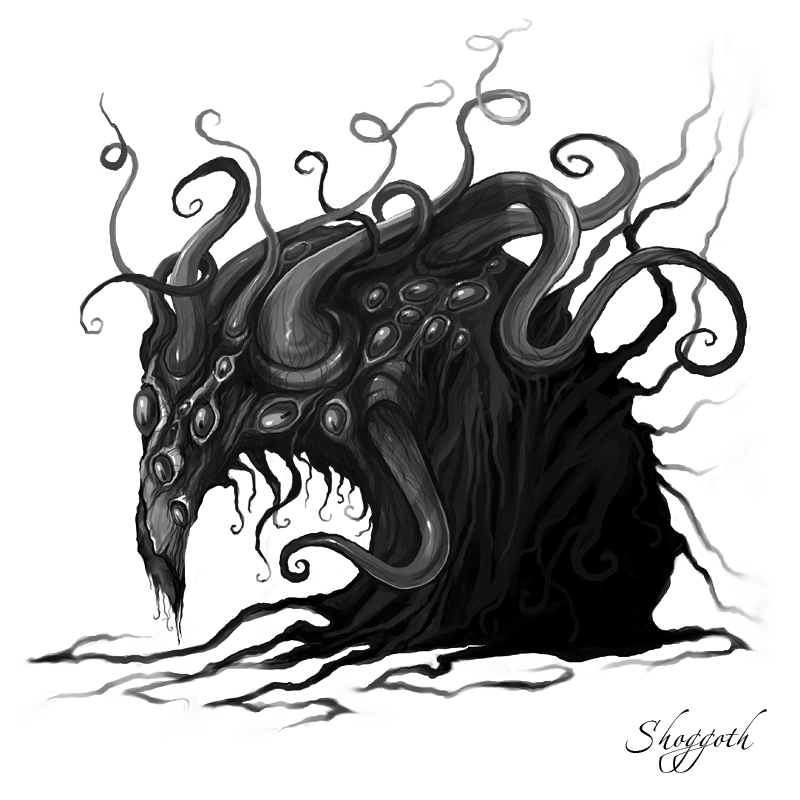 The Brotherhood worships a creepy god of pain, and is dedicated to seeking out the relics of Kazavon: Laori deduced that Salvator must have had a psychic connection to the Crown of Fangs after seeing some of his paintings, but by the time she came looking for him he'd already been abducted by Pilts. She's not up to the task of infiltrating the Emperor's stronghold on her own, but will happily recruit the PCs to assist her if possible. Once she works out that Ileosa has the Crown of Fangs she will immediately start plotting how best to retrieve it for the Brotherhood - and if that means helping forment a rebellion in Korvosa, then so be it. She is willing to cooperate with the PCs as long as their goals do not clash with her own, but her gleeful craziness and obsession with spikes and hooks may not be to everyone's taste. The Sewers: Korvosa's sewers are home to a colony of wererats, whose existence is grudgingly tolerated by city authorities provided they keep their heads down. Since the plague started, though, wild rumours have been flying around that the wererats have been spreading it, and the lynching of real or suspected wererats has become a frequent event, with mobs descending into the sewers to hunt for more victims whenever there's a new outbreak of the plague. Reeling from the loss of so many of its members, the Korvosan wererats are now divided between the followers of Girrigz, who insists that they should be striking back at the humans by every means possible, and Eries Yelloweyes, who believes that further conflict would only bring disaster and that the wererats must simply hide and wait for the plague to pass. PCs who spend much time in Korvosa will swiftly hear rumours about the wererats being behind the plague, and might even witness a lynching or two or be invited to take part in a wererat hunt. If they can intervene decisively on the side of one wererat faction or the other, they may gain themselves some useful allies - although Girrigz's followers have whipped themselves up into a state of such frothing hostility that they will refuse to take part in any plan which doesn't involve killing lots and lots of humans. The Dead Warrens: Korvosa's main graveyard, which is built on top of an even older Shoanti burial ground, is now full of plague pits and mass graves. A mausoleum within it is currently the lair of Rolth Lamm, a depraved necromancer who is one of the architects of the Blood Veil plague, and who spends his spare time building Carrion Golems out of corpses. (They're so easy to come by these days!) He's especially proud of one of his recent acquisitions, the corpse of a magnificently muscular and spectacularly tattooed Shoanti warrior named Gaekhen, which he liked so much that he divided it between several different golems: one has his head, one his right arm, and so on. The Plague Ship: Ileosa's cover story for the origin of the Blood Veil Plague is that it was carried into Korvosa by a mysterious empty plague ship, which was subsequently sunk by the city guard. Any city official questioned about the plague will insist that it was brought to Korvosa aboard this ship. The ship did belong to Andaisin's death cult, but it didn't carry her plague to the city: the cultists came to Korvosa by other means, and then arranged for the ship to arrive burning yellow quarantine lanterns, and then to sink, when a scapegoat for the plague was required. The only person onboard when the ship sank was its mad captain, Rois, who was hopelessly in love with Andaisin and viewed going down with his ship as the very least he could do to prove his devotion. PCs who dive down into the wreck will find his fish-eaten corpse and an airtight footlocker containing his personal copy of the cult's sacred text, in which every instance of their god's name has been crossed out and replaced with 'Andaisin' instead. Cressida Kroft will recognise this as the name of an infamous cult leader from a nearby kingdom, who is wanted by the authorities for a variety of horrible crimes. Once she gets hold of Andaisin's description, her men will eventually hear of a woman matching her description leaving the Hospice on one of her rare excursions into the outside world. The totally-trustworthy Queen's Physicians, who are certainly not death cultists in disguise. Hospice of the Blessed Maiden: Officially, this hospice is at the front line of the city's plague-fighting efforts, guarded by Grey Maidens and staffed by the queen's plague doctors. In fact, it is both the plague's birthplace and its control centre, where Andaisin and her death cultists guide the plague's spread from a secret temple complex hidden beneath the hospice. PCs may discover this by interrogating Rolth Lamm (see The Dead Warrens, above), Jolistina (see Carowyn Manor, above), or the head physician Reiner Davaulus, or by following clues on the Plague Ship. The blood veil plague was the work of three men: the doctor Reiner Davaulus (now leader of the plague doctors and head physician at the Hospice), the necromancer Rolth Lamm (who mostly lives in the Dead Warrens, although he makes regular trips to the temple), and a depressed and nihilistic vampire alchemist named Ramoska Arkminos (who spends all his time moping around in the temple under the hospice). None of them like or trust each other, and all keep extensive notes on the plague and its development. A team of skilled physicians and magicians could find a cure for the plague with the aid of any two sets of these notes; with all three sets, any competent healer could deduce a cure after a few weeks of study. Aside from his impressive medical skills, his bodyguard of Grey Maidens, and the fact he places no value whatsoever on human life, Reiner Davaulus is an ordinary doctor, who poses no personal threat to the PCs. He has no special loyalty to Andaisin, but he is utterly, utterly terrified of her, having seen with his own eyes that she is capable of inflicting fates far worse than death upon her enemies. Ramoska Arkminos, the vampire alchemist, helped to create the plague at the order of his undead sire, who owed Andaisin a favour. He has no enthusiasm for the work whatsoever, and in fact is deeply depressed, having recently been reminded by a chance event that he was once a very devout man in his long-ago, almost-forgotten mortal life. Now that the plague is complete he just mopes around the temple, not assisting the cultists even if they are attacked. 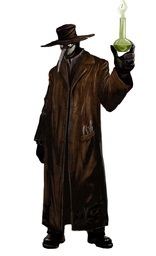 He's fearsomely powerful, but will use his abilities only in defence of himself or his laboratory. He can no longer remember which god he once worshipped, but he's pretty sure that he used to believe in something, and sufficiently holy or diplomatic PCs may even be able to persuade him to turn against Andaisin and her cult. The 'power source' behind the plague is a battery of vile skull-faced demons of pestilence, imprisoned inside glass vats to allow their horrible ichors to be drawn off at will. If the vats are broken the demons will go on a rampage, indiscriminately attacking anyone and everyone except Andaisin (whom they instinctively recognise as possessing the favour of their goddess). Andaisin herself is the only person who knows that the plague was specifically commissioned by Ileosa, although Rolth, Ramoska, and Reiner all have strong suspicions about where their ultimate orders are coming from. She's in regular contact with Ileosa (via deniable and disposable intermediaries, naturally), and directs the ravages of the plague at her behest. When not working, she meditates in a private shrine, the walls of which are made of squirming nests of writhing, densely-packed zombies trapped behind thick sheets of glass. (She finds it relaxing to watch them.) If attacked she'll break the glass and unleash the zombie mob on her enemies. If killed she metamorphoses into a huge, monstrous plague-blob creature at the moment of her death. The Cinderlands: The lands to the north of Korvosa are the territory of the Shoanti, although Korvosan settlers are also moving into the region in increasing numbers, stoking tensions between the two groups. The Shoanti have not forgotten or forgiven the day their ancestors were driven from what is now Korvosa, and are very reluctant to trust outsiders. PCs who wish to travel to Scarwall (see below) will need to pass through their territories. Trinia Sabor is currently living incognito out in the Cinderlands, hiding with some friends of Vencarlo Orisini. Her status as Korvosa's most famous public enemy has made her a figure of considerable fame and glamour among the populace, and if she could be persuaded to return to the city she could serve as a powerful figurehead for a rebellion. Alternatively, PCs may just want to hunt her down for the huge reward, a deed which will earn them the trust and respect of Sabina Merrin. PCs who helped Thousand Bones retrieve the body of his grandson may be able to ally with the Shoanti. Not only will this make their journey to Scarwall a lot easier, the Shoanti tribes are a potential military asset: if they can be convinced that Ileosa is using the same evil artifact that their ancestors swore to protect, it might be possible to persuade them to march upon Korvosa to assist a rebellion against her. They will, however, insist that the Crown of Fangs be returned to them once Ileosa is defeated; if they feel they have a strong bargaining position, they will also demand that all the Korvosan settlers in the Cinderlands abandon their homes and return to the city proper, which will not exactly be popular with the settlers themselves. Scarwall: The gigantic ruined castle of Scarwall, out in the Cinderlands, was the stronghold of Kazavon and the site of his assassination. It is famous for being thronged with murderous ghosts, and no-one goes near the place if at all possible. However, legends say that Serithial, the enchanted sword with which Kazavon was killed, never left the castle: and once the PCs have worked out that Ileosa is drawing upon Kazavon's power via the Crown of Fangs (and possibly witnessed her near-invulnerability to normal damage while wearing it), their allies will strongly suggest that maybe that sword could be the key to defeating her. Scarwall is a giant castle full of undead. So many undead. Undead guards on the battlements. 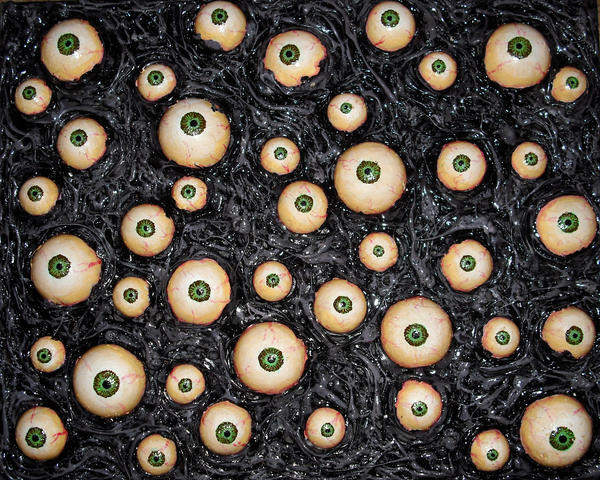 Scorched zombies crawling out of the ovens in which they were cooked alive, their burnt hearts still smouldering. Animated corpses hang from hooks, clawing at anyone who comes too close. Enchanted prison cells curse anyone who enters them with crippling agorophobia, so severe that they would prefer to starve to death in their cells than enter the world outside. Anyone sleeping within ten miles of the castle suffers horrible nightmares. It is ruled by the ghost of Kazavon's castellan, Mithrodar, who died alongside his master and now controls all the other undead within the castle walls. Until Mithrodar is exorcised, any undead destroyed within Scarwall will simply reanimate a few days later. Scarwall is built around an even older structure, the Star Tower: an immense megalith, tens of thousands of years old, that resembles an enormous stone nail driven into the earth. This is pretty much exactly what it is: it extends thousands of feet below the ground, gradually narrowing to a point which impales some vast and buried monster of the ancient world like a butterfly on a pin. This tower is where Kazavon was assassinated and dismembered, and where the sword Serithial was stolen by Kazavon's faithless chamberlain Kleestad, who snatched the blade and fled with it into the depths of the Star Tower: there he hid, eating worms and drinking water corrupted by the blood of the ancient monster below, until finally he warped into a gigantic worm-like beast, nearly mindless and wracked with pain. Now he lurks in the lake at the bottom of the Star Tower, still guarding the sword that he carried down there all those centuries ago. The swamps are the home of various bullywug tribes, who revere a giant statue of Sorshen as their goddess, the 'mother-queen'. 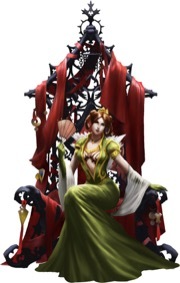 Using her magical powers and physical resemblance to Sorshen, Ileosa has been able to convince them that she is the living incarnation of their goddess, and now uses them as guards to keep intruders away from The Sunken Queen (see below). If she loses control of Korvosa completely, she will establish herself in the swamps as witch-queen of the bullywugs instead, waiting for the day when her mastery of the Everdawn Pool will permit her glorious return. The Sunken Queen: This pyramid in the depths of the Korvosan swamp has another huge statue of Sorshen built into the side of it, but an ancient earthquake has left it half-sunken into the marshes (thus its name). At its heart lies the Everdawn Pool, a floating mass of enchanted blood which Sorshen used to renew her eternal youth. Ever since Sermignatto showed her how to get inside, Ileosa has spent most of her time here, trying to attune herself to the magic of the Everdawn Pool and thus make herself effectively immortal. The passages within the Sunken Queen are guarded with a small army of Ileosa's spare simulacra, who come bursting out of pods and pools of blood as the PCs approach. They're not too much of a threat, but being attacked by waves of identical, screaming, bloodstained naked women (who explode back into blood when slain) will make it hard to approach the Everdawn Pool itself without forfeiting the element of surprise. 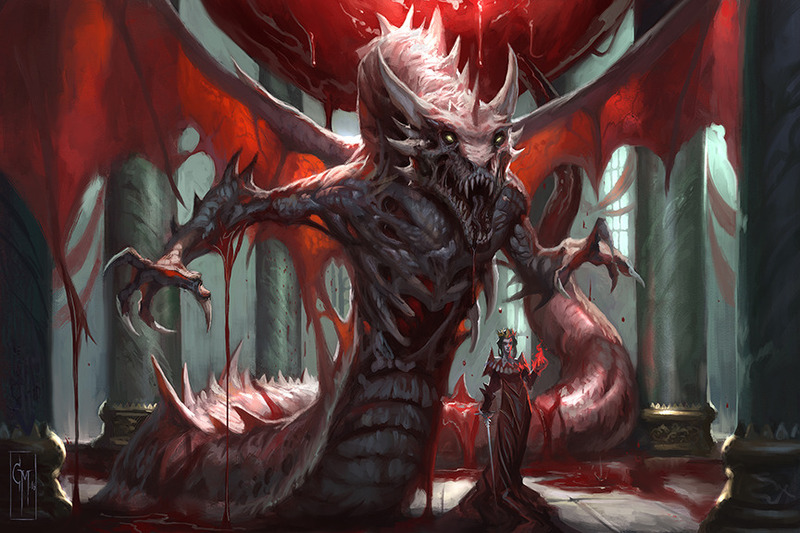 If Ileosa realises she's under attack, she'll combine the magic of the Crown of Fangs with the power of the Everdawn Pool to create one final guardian: an immense simulacrum of Kazavon himself, composed entirely of diseased and rotting blood. Ileosa herself is only a mid-level wizard (Sermignatto has been tutoring her in her spare time), but as long as she wears the Crown of Fangs she takes only 20% damage from all attacks (round down), and automatically passes all her saving throws. Anyone wielding the sword Serithial may ignore these defences. If Ileosa is killed within the Everdawn Pool chamber, Kazavon's spirit will make one last-ditch attempt to exploit its attunement to Ileosa - and thus to the Everdawn Pool - to bring itself back to life. The Pool will erupt into activity as huge bloody limbs begin to heave themselves out of it, Kazavon draining it of all power in a frantic attempt to build a new body for himself. If the PCs can disrupt the pool by physical or magical means before his resurrection is complete, destroy his new body before it has a chance to knit itself together, or simply stab him or the pool with Serithial, then his ploy will fail: otherwise, the pool will be completely absorbed into Kazavon's new body, and the world will have to deal with the monstrous warlord reborn. His first objective will be to reclaim all the parts of his original body and reabsorb their powers, starting with the Crown of Fangs. If Ileosa succeeds in attuning herself with the Everdawn Pool (which will take about a year's work) she will attempt to carry out the mass ritual sacrifice of ten thousand of Korvosa's citizens to renew its powers. If this also succeeds, then she will become eternally young, and gain very powerful regenerative abilities. Her megalomania will be stoked by this success, and she will swiftly start plotting to invade nearby nations and build herself an empire worthy of her glory. A rebellion rating of less than 8 probably means the rebels are defeated unless the PCs can come up with some truly brilliant battle plans. A rating of 8-11 means that Ileosa's forces will be driven from the city's streets, but the palace will still hold out, and messages will be sent to the Sunken Queen for Ileosa (or one of her simulacra) to march on the city with an army of bullywugs. A rating of 12+ means the city and palace are both overrun, although Ileosa (if present) will probably allow her simulacrum to die in her place, escape in the confusion, and flee to the Sunken Queen to plot her revenge. The PCs hear about the plague, and the plague ship. They will see the Grey Maidens and the Plague Doctors on the streets. The PCs see wanted posters for Trinia, and hear about her murder of King Eodred and her rescue by Blackjack. 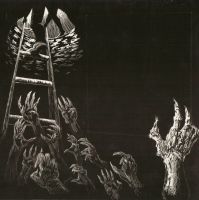 The PCs learn that the population in general believe Korvosa's wererats to be responsible for the plague, and may witness the hunting or lynching of suspected wererats. The PCs hear rumours that something strange is happening in Carowyn Manor. Cressida Kroft will contact the PCs through deniable intermediaries, trying to engage their services in finding the body of Thousand Bones' grandson, locating Salvator (and thus Neolandus), and discovering the origin of the plague. Vencarlo will make contact with the PCs (as Blackjack), and encourage them to help fight against Ileosa's tyranny. Laori Vaus may try to hire the PCs to find Salvator for her. If the plague temple under the hospice has not been shut down, she will try to have them infected with the plague. If the temple has been shut down, and she knows where to find them, she will have them arrested by her Grey Maidens. If the temple has been shut down, and she doesn't know where to find them, she will send her assassins, Cinnabar and Kayltanya, to hunt for them throughout Korvosa and beyond.